How do I edit DNS? Log in. You should arrive at the Domain Management screen. If you're already logged in, click your username in the top-right corner and select Domain Management. Locate your domain and click the drop-down list to the right. 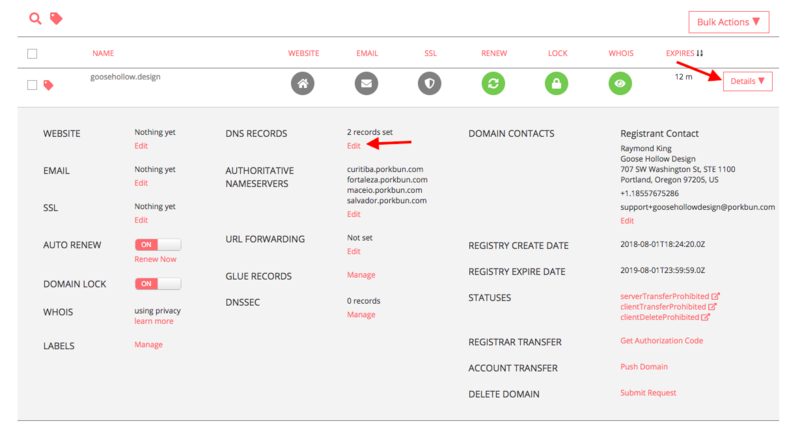 On the menu that appears, click the "Edit" option next to "DNS Records".